Elite millionaire society is a new binary options system developed by Thomas Boyles. According to Boyles the software uses simple math and statistics to provide traders with an additional $250,000 in annual income. He’s promising traders that this is their way to become really independent. Today I’ll be providing a review and letting you know if this is just like all the other binary options systems we promote or something special. My first impressions of the elite millionaire society aren’t good. The video on the front page starts with a handful of testimonials from people that look like they aren’t sure what they are actually promoting. They never mention the name of the product that supposedly making them so much money. As the video continues we are told that what we are about to discover this video will blow our minds. Yet, like most of these videos we are constantly teased by this secret. I respect people that are more straightforward and get to the point as opposed to this beat around the Bush strategy that Boyles is using. I decided to skip to the end of the video to see what the secret is and it’s the exact same secret every other binary vendor provides. We are told that the secret is his software. So we don’t learn anything, and we are told anything about the binary options software either. So let me get away from this annoying elite millionaire society video and take a closer look at the so-called verified results they are providing to make traders over $1200 per day. When I look at the results there is a glaring issue immediately. Boyles is showing us results over the weekend when the markets are closed and there’s no trading. We can see trades from February 26-28 which can’t be possible. This leads me to believe that the results are fabricated and I’m going to need an explanation from the developers about this. I can’t recommend the elite millionaire society when the results can’t even be real. If there’s something you would like to add to this review please leave your questions and comments below the article now. 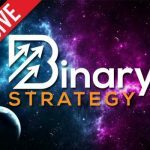 As always, I look forward to hearing from you and hope that you spend more time on binary today learning what actually works for binary options traders. If you ever want personal help just click ask John at the top of the page and send me an email, I respond very quickly. I care about all my readers and hope that you too, will find success in the binary options market.